President Muhammadu Buhari has approved the appointment of a campaign organisation for his re-election in 2019 with Minister of Transportation Rotimi Amaechi as Secretary/Director-General. A statement issued by the President’s Senior Special Assistant on Media and Publicity, Malam Garba Shehu, in Abuja on Thursday disclosed this. 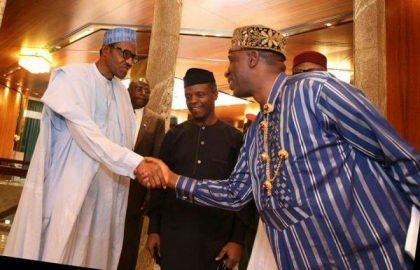 Amaechi was the Director-General of the Buhari-Osinbajo Presidential Campaign Committee in 2014 to 2015 that won the elections and brought the current administration into office.